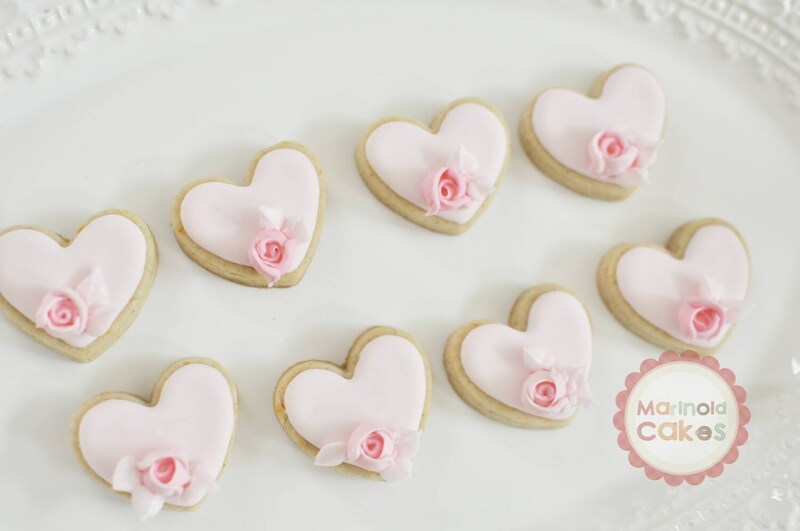 12 pieces of mini heart cookies with a single royal icing rosebud accent. Colors can be modified to your liking. The other cookies in the photo are not included. Each cookie is approximately 1.75 x 1.75 inches in size. They will be individually wrapped in self-sealing clear cellophane. Absolutely beautiful, perfectly shipped and very tasty. I don't know where to start on how great this experience was. I emailed before I ordered to see if my cookies would come in on time and got a response right away. The cookies came in earlier than I thought and were packaged beautifully. Not one broken cookie and they are exactly what I ordered! 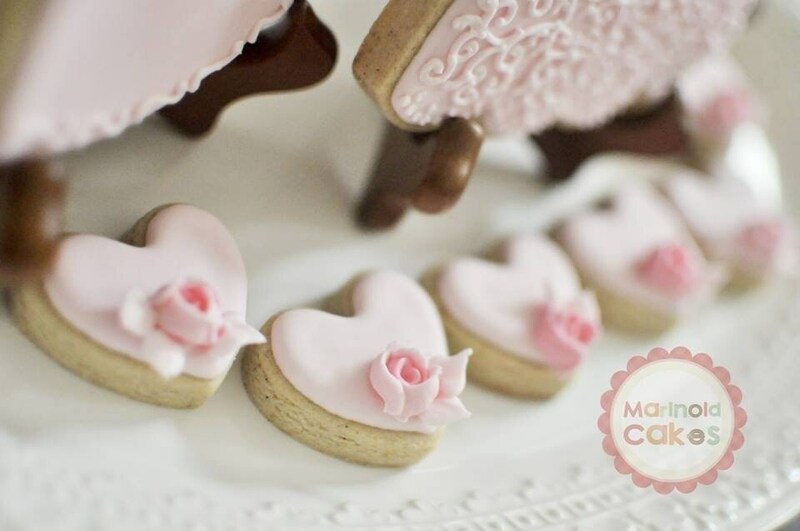 They taste great and we're a huge hit at my sisters bridal party! Thank you!